What To Read Tonight? 30 Reading Recommendations For International Women's Day! 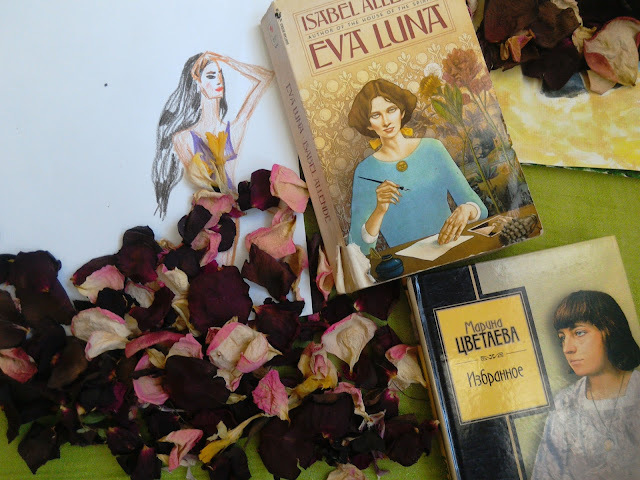 Today We Are Celebrating Lady Writers! Once again happy International Women's Day! I hope you have had a lovely so far dear ladies. Are you looking for a book to read this evening? If you are, you've come to the right place. How do you plan to spend this evening? I plan to spend it reading and if you would like to celebrate the ending of the International Women's Day in the same way, here is a bit of inspiration. 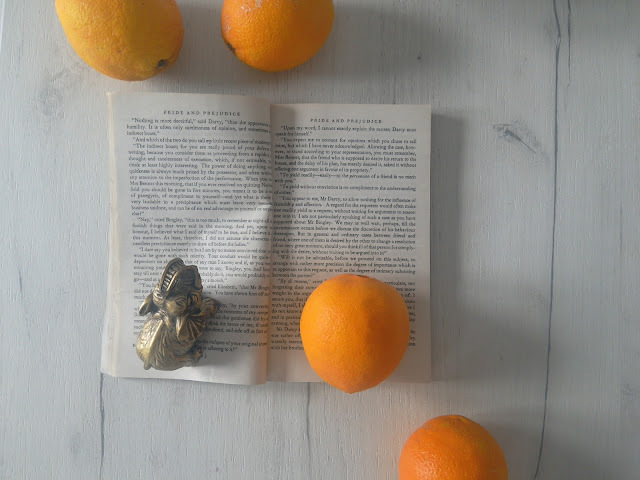 Today I will share with you 30 book recommendations. All of the books recommended will be by female authors because it's 8th of March and we should celebrate women today. All photographs used for these book reviews are my own. You probably haven't seen some of them before, because I talked about and reviewed many of these books on my other blog. There is a link under every photograph, so you can read the full review (if you want to). 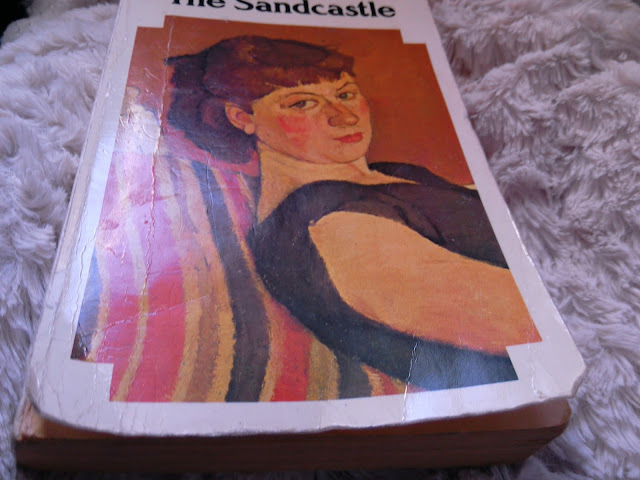 We'll start with a well know classic, a novel I read ages ago but only got to reviewing it last month (here). Published in 1899, this novel was a forerunner in many ways. It is a well known fact that Chopin crafted one of the early works of feminism with this one. By writing and developing the story of Edna, a young woman experiencing ‘awakening’ while searching for her personal identity, Kate Chopin not only challenged the conventions of her time but created a timeless story about an individual's struggle for freedom. A true class. I discovered Amy Tan years ago and I'm so glad I did. The Bonesetter's Daughter is the last book of hers I read and I can definitely recommend it. Published in 2001, The Bonesetter's daughter is Amy Tan's fourth novel. What did I expect from this book? Well, basically a story about an estranged (Chinese) mother and a (Chinese American) daughter trying to fix their relationship, all narrated from a strictly feminine point of view. I got what I expected and I really liked this novel. However, I actually liked her other works a more so I'll include them in this recommendation. The Joy Luck Club was the first novel by Tan I read and it made me simply fall in love with her writing. Some say that the way the book is written is confusing (there are multiple narratives), but for me The Joy Luck Club is simply magical. 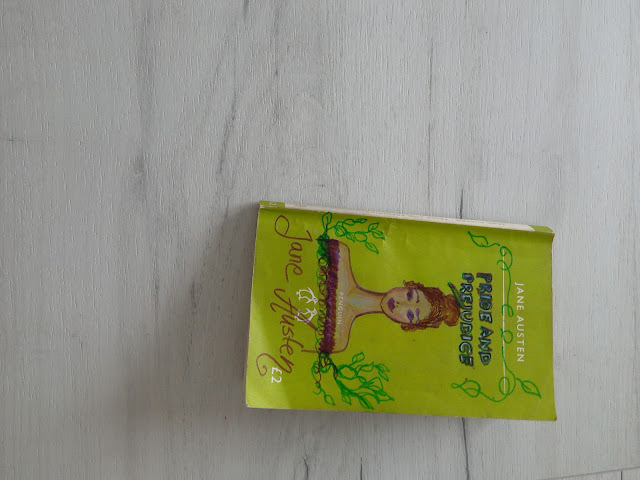 Published in 1991, The Kitchen's God Wife is, much like Tan's debut novel The Joy Luck Club, written from a feminine immigrant perspective. As it often the case with Tan, this novel focuses on the dynamics of an American Chinese family, more precisely on the relationship between a mother and a daughter. There are other characters, but there is no doubt that the mother and the daughter are the protagonists of the novel. Pear and Winnie are not only the narrators of the story, they are what this novel is about. This novel explores the life of a famous painter Frida. Covering all stages of Frida's life, from early childhood to death, this book offers an interesting study of her life. I personally thought it focused a bit too much on Frida's marriage to Diego, and the way the relationship was described didn't seem authentic to me, but I still liked this novel. You can read my full review of it here. As you all probably know, Ursula passed away. I was very sorry to learn of her death. I read A Wizard of Earthsea only a day before I was hospitalized last Summer. I had high fever and I was in a lot of paint but somehow this gem of a novel made me feel better. Books are magic, you know. The Left Hand of Darkness impressed me on so many levels. This science fiction novel spoke about gender in such an intelligent and sensitive way. It made me realize how meaningful science fiction can be. I can't recommend it enough. Considered a parody of the typical Gothic novel, Northanger Abbey is for most part a typical Austen novel, meaning that there is a female protagonist who gets happily married in the end. The parody part is a nice twist to Austen's usual writing, though. By parodying the Gothic genre, this book sets forward this idea that what is dangerous is not ghosts and murders, but people who judge others solely on account of their material status, people whose social and personal conduct is motivated solely by a better social standing. Isn’t that really scary? Apart from this delicious realistic portrayal of human nature, this novel follows other typical ‘Austen’ works in it that it features a female protagonist and a complicated plot. Pride and Prejudice remains my personal favourite when it comes to Jane Austen's works. 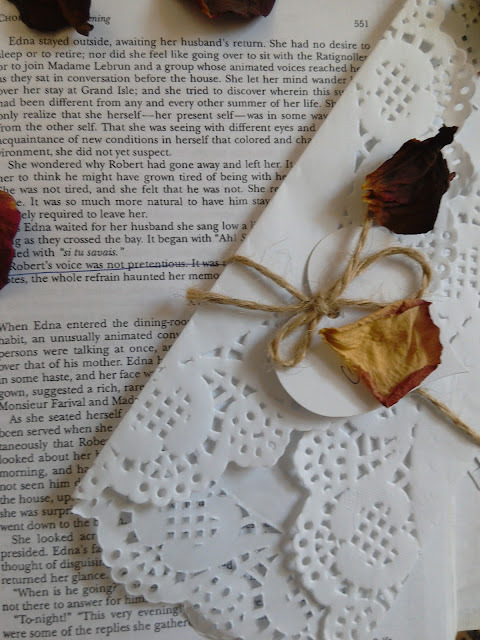 It probably has something to do with the protagonist of this novel, the adorable Elizabeth. I honestly think that any Austen's novel is a good choice for today's reading. There is more to her novels that meets the eye. I sometimes feel like other equally if not more deserving British authors get ignored because of Jane Austen's prestige, but there is no disputing the elegance of her writing. Paradise was published in 1997 and it is often mentioned that it is the first novel Morrison published after winning the Nobel Prize for literature. 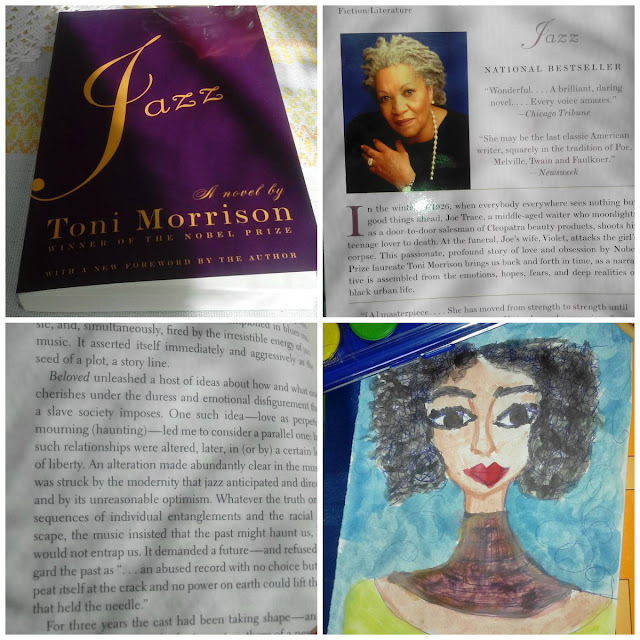 According to the author itself, Paradise completes a trilogy that includes two of her other novels I was fortunate enough to read, Beloved and Jazz. As for the time period, Paradise is set in modern times (fifties and sixties of the last century) but when it explores different characters, it flashes back and forth in the past that is earlier than that. The story is set in imaginary city Ruby set by black people in an effort to protect themselves against racism and limitations existing for African American people in USA during that time period. Jazz is a novel that taught me that laughter can be as complicated as tears, a novel that has taught me to give people a second chance. 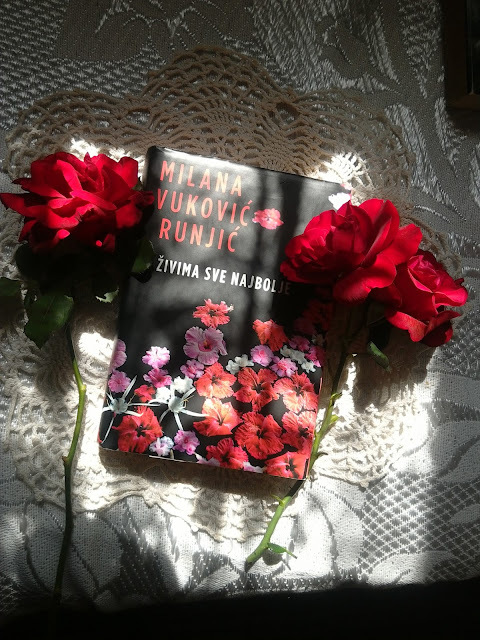 It is a beautiful story about a woman who learns how to forgive her husband, but also herself. Morrison writes so beautifully. Highly recommended! The Heart of a Woman is a memoir by Maya Angelou. It was my first book by Maya and I absolutely loved. I do recommend it. For me it was such an inspiring read. The events Maya describes in this book take place between 1957 and 1962 and in that sense this book is a continuation of her previous memoirs. I do admire Maya's courage when it comes to blending literature with autobiography. It is not an easy task and only a few have really gotten away with it. To narrate one's life, any period of it, in such an intimate way demands great courage, but turning that narration into a literature takes a kind of discipline and self restraint only great writers have, thought people generally don't realize how hard writing on this level really is. Reminiscent of Sailing to Sarantium, this novel is (among other places) set in 9th century Constantinople (today better known as Istanbul). Az falls into category of historical fiction. In my personal view, the main characters of this novel are not (as implied in the description) Cyril and Method , but rather Byzantine queen Theodora. Her characterization was handled brilliantly. She is a very present character in this book. Moreover, she is the one who sets things into motion. I have to say that I felt like Cyril and Method were completely overshadowed by her. Naturally, one doesn't expect the holy brothers to be as involved in political affairs as a queen, but still it could be maintained that their portrayal lacked warmth. At times, they were left hanging neither here nor there, neither saints, neither humans- if you know what I mean. 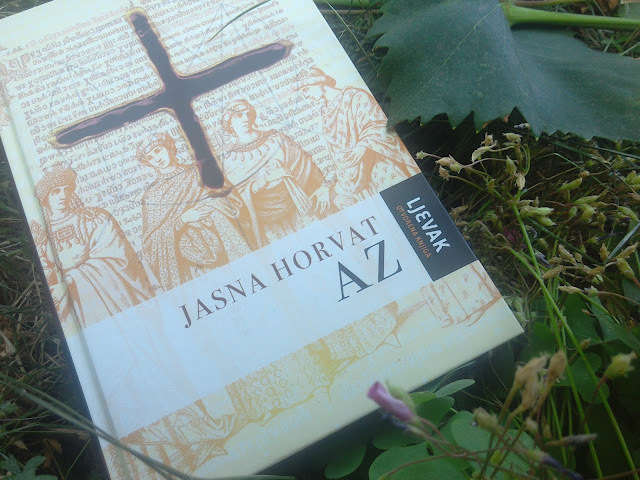 Their historical importance as legendary Greek monks who gave Slavs their literacy was well elaborated on and explained in this novel, but I was left wanting more. Theodora, on the other hand, was most convincing and she reminded me a lot of the protagonist of The White Queen, particularly when it came to her obsession with magic. Let's not forget kids! Reading a story to some small girl is a lovely way to celebrate 8th of March. I'm sure that any little girl (or boy) will enjoy this book. I originally bought it for my nephew, and he still loves it, but now my niece (who has grown in the meantime) can enjoy it as well. My niece even thinks she's Anya. This is a colouring book but it comes with a story. You can also buy other books in the series. Find out more on the site of the author here . It's been a while since I read Broken Harbor now and yet the book stayed with me if you know what I mean. 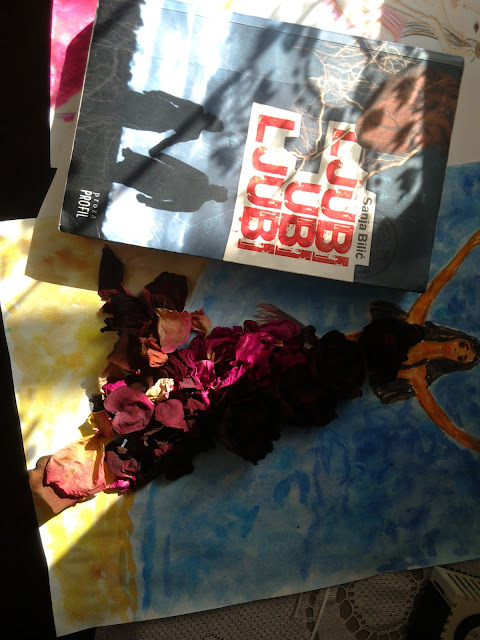 I had plenty of time to work it all in my head, to consider possible faults in this novel. Time to weight pros and cons of reading this one. Time to think about how I would go about recommending it to others. 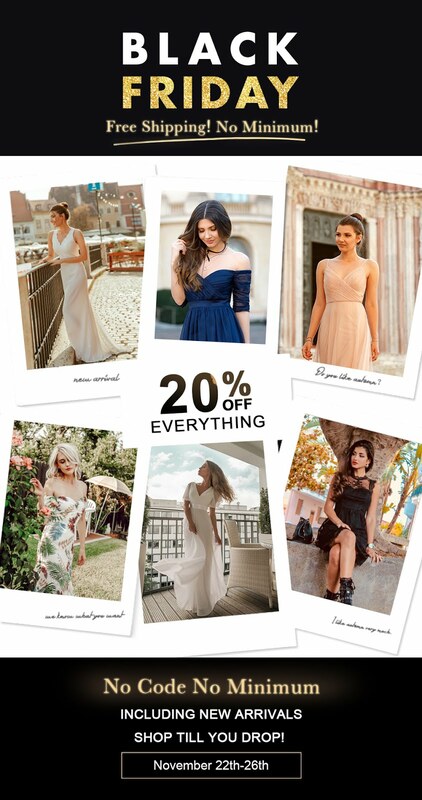 Time to think about what exactly makes it so special? I wrote my goodreads review a while back (here) and it sure was it a long one! As a matter of fact, I wrote that review only an hour after I had read Broken Harbor. 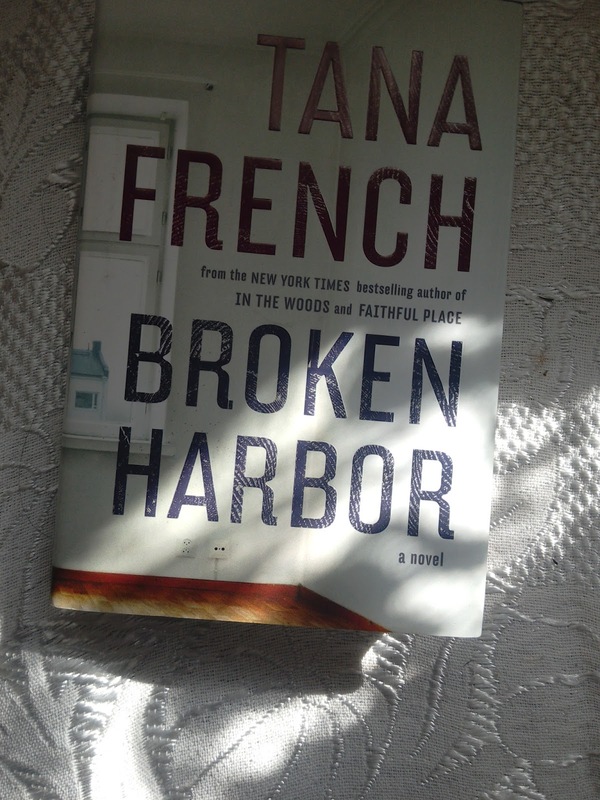 In that review, I concluded that Broken Harbor was one of the best crime novels I have ever read. Do I still agree with what I wrote? Yes, I do. Absolutely. 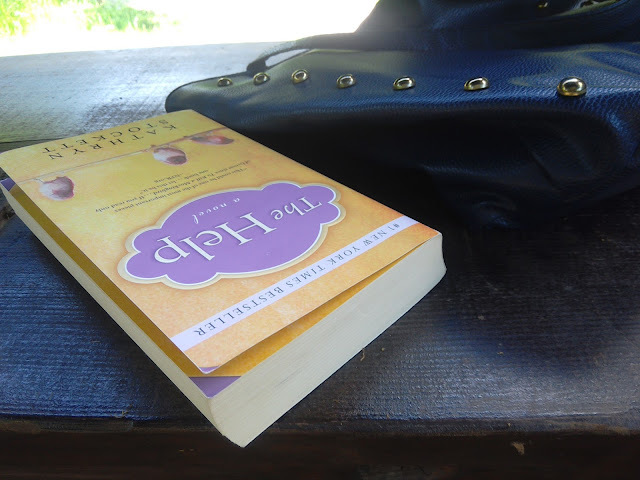 The Help is a novel that doesn't shy away from difficult themes, it talks about racism and bullying. While there is certainly a lot of sadness in this novel, it is also a very inspiring read. The way Stockett managed to portray her characters is exceptional. I don’t think I saw such powerful portrayal of Southern female characters in American literature since the time of Tennessee Williams. This book is all about the female perspective, but it doesn’t idolize woman. I really appreciate the honesty with witch the writer examined her female characters every step of the way. Latica Ivanishevich, a Croatian artist, was born in Zagreb during forties ( in 1942 to be precise). In Croatia, Latica is known primarily for her work as a costume and stage designer. However, Latica has also exhibited on her own (jewellerly and art). This book feels a bit like ears-dropping on a family conversation. 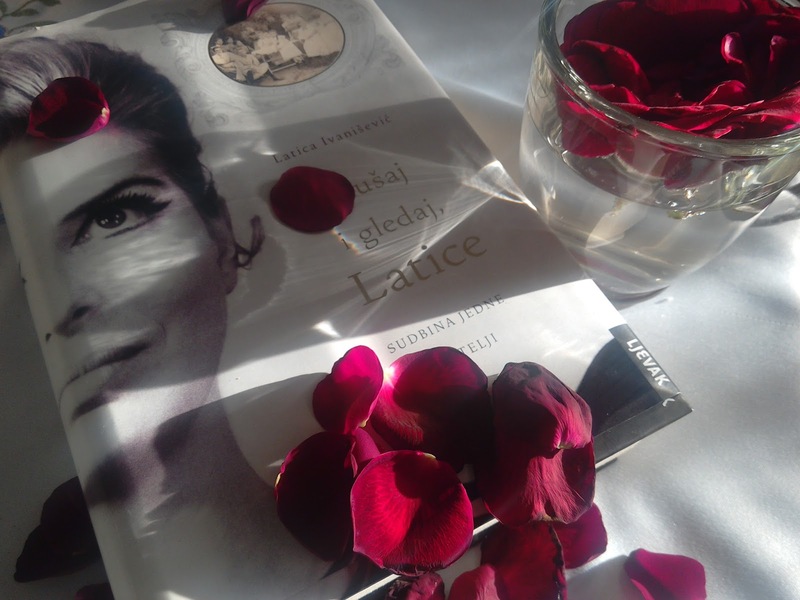 Seeing the cover and this lovely photograph of Latica Ivanishevich, you might jump to the conclusion that this is a book about her. That is, however, not the case. She is certainly the author of the book, but this book is neither her autobiography, or her memoir. This is a book about her family. Moreover, it not just about immediate family (her parents, grandparents) but about many other important members of her family. In addition, many historical and political figures are mentioned. As someone who loves history, I was absolutely fascinated by this novel. I would describe this novel as a very entertaining light reading. This book follows the lives of three sisters in their thirties: Lara, Silvija and Ema (Emmanuele). After losing their father, a famous film director, the sisters are trying to come to terms with it and make sense of their lives. Did their father leave them a message of some kind? Much of the novel is focused on their love adventures, that are often quite funny. The subplot is the story of Spin, Lara's teenage neighbour. He was actually the character I liked the most. The sisters were entertaining, but often they seemed a little too needy. Towards the end there was some improvement in this sense, though. The author of this book actually left a comment on my original book review post, saying she agrees with my review. I was a bit surprised because I write these book reviews mostly for myself, but her comment was very polite, so it was a good surprise. This was my first reading of Tsvetaeva. Her poetry is immensely powerful and expressive. I would describe Marina as a natural poet. I found lots of lovely videos of ladies reading her poems on YouTube, sometimes with music in the background. I do recommend those as well. 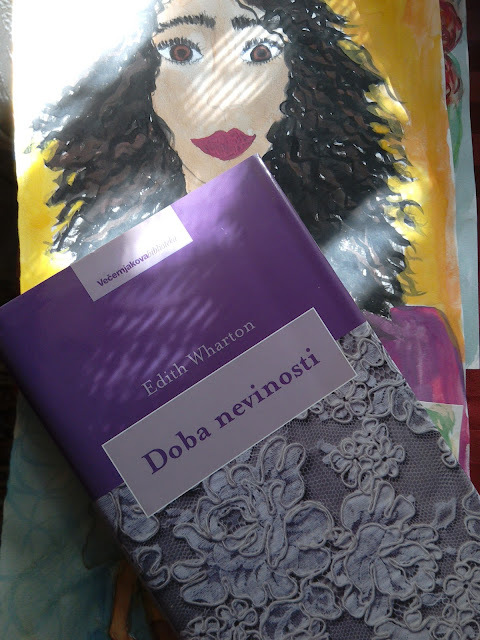 I'm not sure if you can see well in the photograph below (as there are two books and a drawing displayed), but the edition I read came with a nice introduction so I got to learn more about Marina's life. I would definitely recommend Marina to anyone who enjoys good poetry. 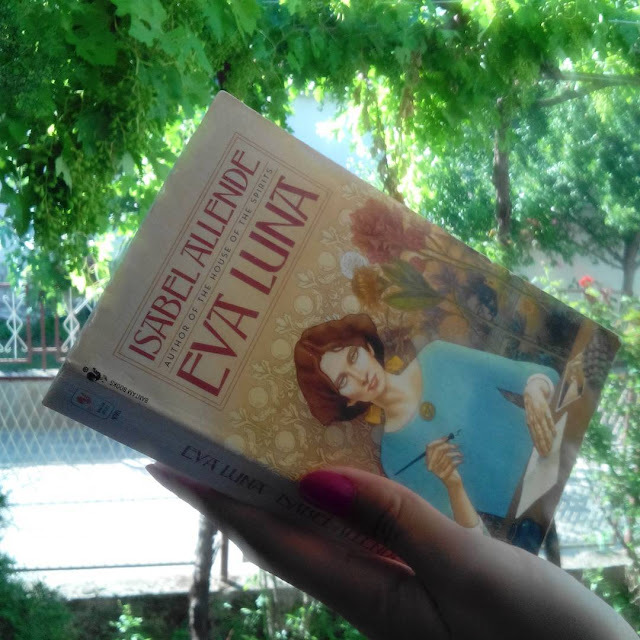 Eva Luna is, among other things, a novel about a woman who becomes a writer. In this novel, I really hung on those passages about the writing process. I found what the author (or Eva Luna? Or is it the same person in this case?) had to say about it very interesting. When Eva Luna explained how and even more importantly WHY she writes---that's such a precious passage. As someone who obviously loves reading, I found myself (metaphorically) nodding in agreement. We write and we read to make sense of this world. To put things into perspective. To be heard....Allende's (or Eva Luna's ?) words made me think of Tennessee Williams who (in one of her prefaces) compared all writers to a little Southern (American) girl who wanted to be heard and payed attention to. This is a wonderful novel that certainly made me think a lot. If you want to read my full review of it, you can do so here. 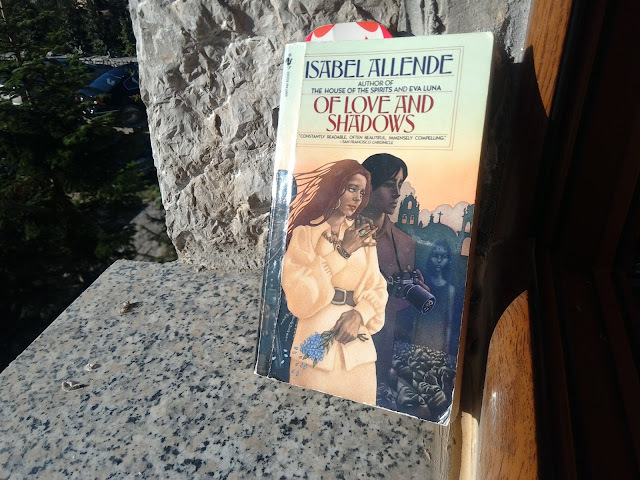 Another novel written by Allende that I would like to recommend is Of Love and Shadows. 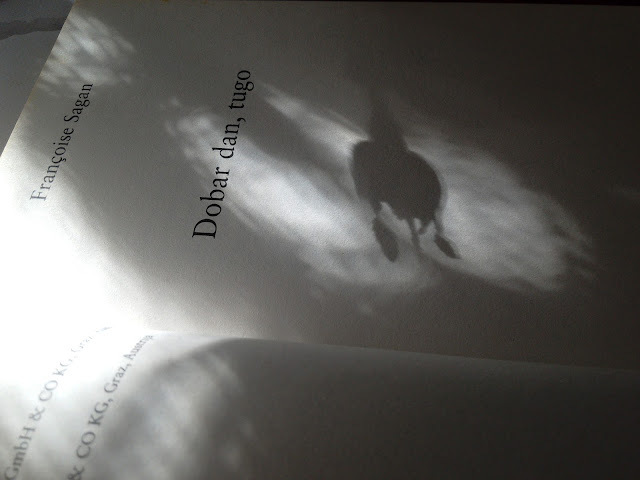 Hope and love can fight the shadows, perhaps that is the best description one can give of this book. I would describe it as a complete opposite of chic lit. 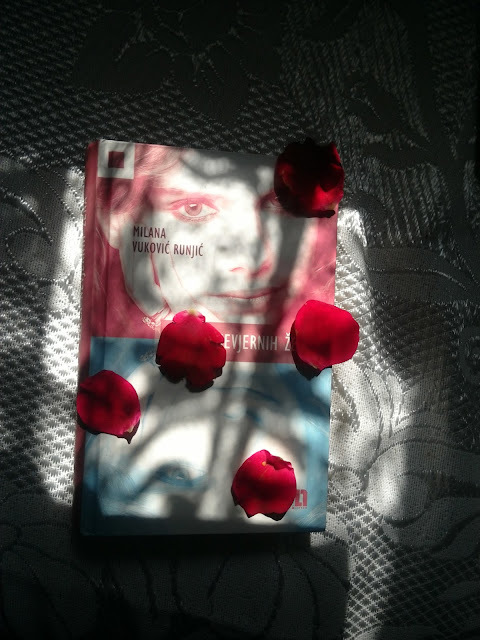 This novel is not just about the love story between Irene and Francesco and even if it was it would still be worthy of a read because it feels authentic. Of Love and Shadows is set in a country that is never named, but we can assume it was based on Chile, the country of the author’s origin. This is love in time of death, in time of massacres that remain hidden, in time of paralyzing fear that is touchable but unnameable for its very naming invokes danger. This is a story of love in dangerous and desperate times. The Street of Unfaithful women would be the translation of this novel’s title if the novel was translated (which it isn't, at least as far as I know). This book is all about infidelity. Or is it? In reality, this is a book about women. You see, there is this street. What makes it peculiar is that all women in this street are unfaithful....or so it seems. Nothing is really as it ought to be in this enchanted little street situated on outskirts of the town. In this street, so close to nature, magic still exists and history has a way of getting mixed up with present. Here the myth can still come to life and the forest still holds many secrets. Sounds interesting? It is. Often called a modern fairy tale, the novel erases boundaries between the real and the mythical world. What kind of novel is it? Is it a psychological or fantasy novel? Should we read it as we read Jung and Freud? Should we assume that the mythical beings that appear in this novel are just a product of imagination? Is it a psychological study of a group of women? Or is it a fantasy novel set in our times? Does it really matter? Personally, I couldn’t care less to what genre we attribute it to. I think its complexity only adds to its charm. Its ambiguity will make you search for infinite interpretations. Isn't that a sign of great literature? Do you know how I would describe it? A journey into women’s soul. Now, isn’t that something that makes it well worth reading? Don't speak ill of the living is a title of a novelette featured in this book, but it is also the title of the book. The novelette this collection of stories was named after is a true masterpiece. Such is my opinion anyway. Therefore, it seems to me that this novelette is deserving of its own edition. I was very impressed by this novelette’s complex narrative, its touching portrayal of mildly neurotic young woman that lives her life unaware of the dead surrounding her. Moreover, the protagonist of this story is such an amazing character. Her vulnerability and surprising perseverance (you’ll see what I mean when you read the story) are nicely tied to another narrative that gives them an additional dimension. What other narrative? Well, that of a dead man who is trying to write. The one who is observing her. There is also an additional parallel story created by the third party, a mysterious witch. I did say that this novel has a complex narrative structure, didn't I? However, it is so well done, you won't be confused at all. Published in 1861, it was the third novel by George Eliot aka Mary Ann Evans. 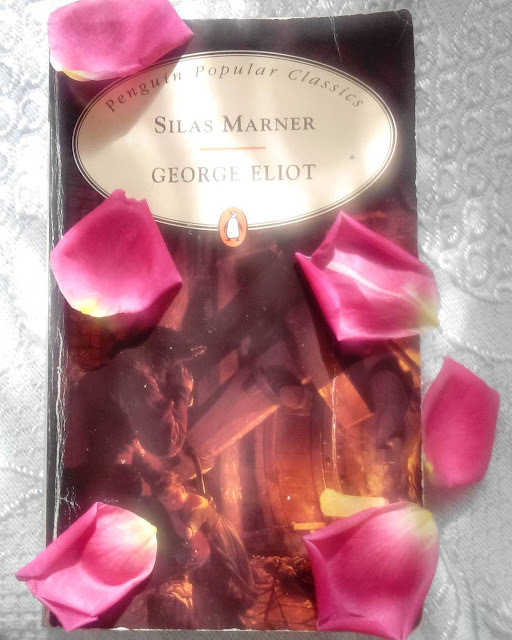 Silas Marner happened to be the first novel of hers that I read. Did I like it? That would be a bit of an understatement here. Perhaps it is better to say that I loved it. Naturally, I knew who George Eliot was prior to reading this novel. My expectations were high and this novel certainly met them. Silas Marner is considered to be a classic. In my opinion, it is more that deserving of that title. It is an extraordinary novel indeed. The plot is very similar to one famous French classic, but if you compare the publishing dates, you'll see there was no copying going on the either side. If you want to read my full review, there is a link under the photograph. This novel, like most of Murdoch's novels, focuses on theme of adultery and marriage. The novel opens up with Mr. Mor having a conversation with his wife. Mor is a deeply unhappy middle aged man. He is (as one American sitcom puts it) married with children. What is interesting is that he doesn’t even realize that he is unhappy. He is married to a woman that terrifies him, but somehow he doesn’t question that. After all, aren’t men expected to do the right thing, to take care of their families? Fulfill their duties and obligations? Much has been said about the entrapment of women in a domestic life, but aren’t often men just as unhappy with their domestic life? In other words, if you cut them, do they not bleed? You can read my full review here. I bought this book a while back, borrowed it to someone who didn't return it, so sorry no photograph for now. Desert Flower is one of the most touching books I read. Besides being an autobiography, Desert Flower is also a book with a message, a tremendously important book. It is not just a wonderful memoir and a tale of amazing bravery of Waris Dirie, but also an detail account of FGM (female genital mutilation) from the perspective of a victim. The reason why I picked up this book was mainly because I wanted to learn something more about FGM. I did learn something more, the kind of information that is personal not just theoretical. In addition, Waris does not only tell her story. She tells the story of other women she had known that have suffered and in some cases had died because of FGM. Reading about FGM from Waris' experience ( as a personal account of someone who had been subjected to it) was emotionally difficult yet I think to understand even a glimpse of what these women go to it is necessary to hear the story as they tell it. This is a story about a woman who escaped slavery in year 2000. Yes, you read that right. In this century. 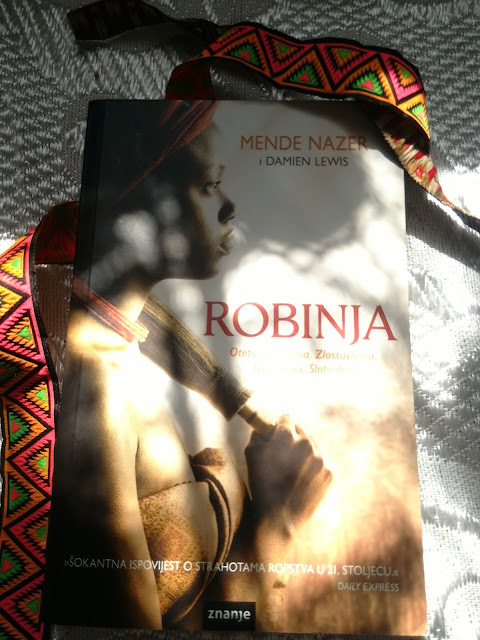 It was co-written by journalist Damien Lewis who basically wrote down what Mende told him so it's still a narration of her life (just a co-written one). The story itself is written in the first person and it feels like an autobiography. Mende, a girl from Nabu tribe in Sudan, was sold into slavery to a rich Arab family in year 1992, when she was only 12 years old. Hers is a true story, not fiction. I searched for Mende on YouTube and learned that she is very active in helping other girls in similar situations. Mende is such an amazing brave young woman. Her story deserves to be heard. The Age Of Innocence won the Pulitzer Prize for literature in 1921. I must add that it really deserved that Pulitzer, for it is, in many ways, a unique work. It is set in a particular historical time and place (1870-ties, New York, the so called Glided Age) and it delivers a brilliant portrait of New York society of that time. 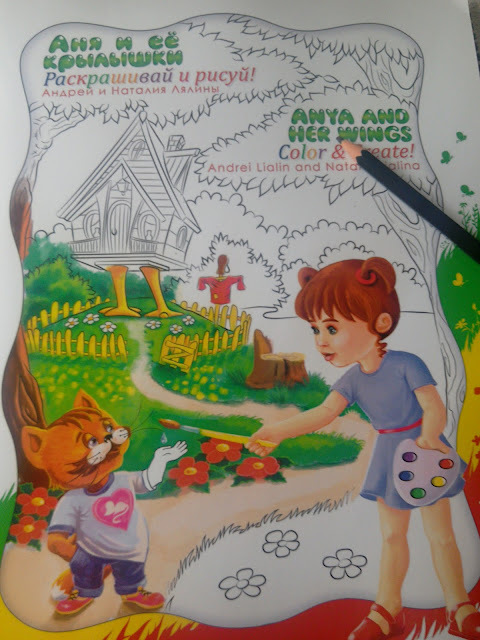 The title of the book is said to be inspired by a rather well known painting titled Age of Innocence, but it might also be a reference to the author’s upbringing and childhood. Wharton was in her fifties when she had written this novel and that is, quite often, the time when we recollect our childhood. After all, childhood is an age of innocence. The author is both critically and nostalgically inclined when she describes this period she had grown up in. This creates a rather potent mix of emotions that contributes to the novel’s complexity. Bonjour Tristesse is not a long novel, I would say it is something you can read in two hours or less. So, if you’re looking for a shorter novel, but you still want to read a classic, this might do the trick. If you want to read something that is not too complicated or emotionally draining, but is at the same time original and interesting, this might be a good novel for you. The protagonist of the novel is a young girl named Cecile, who doesn’t want her widowed father to remarry because well she likes her life the way it is. Her father is a womanizer, but she doesn’t mind it, presumably because that is what makes her the emotional centre of his life. In other words, just human being humans. That it all for today. I hope I have helped you to pick a nice book to read this evening. I wish you all a lovely evening! You are so wonderful! 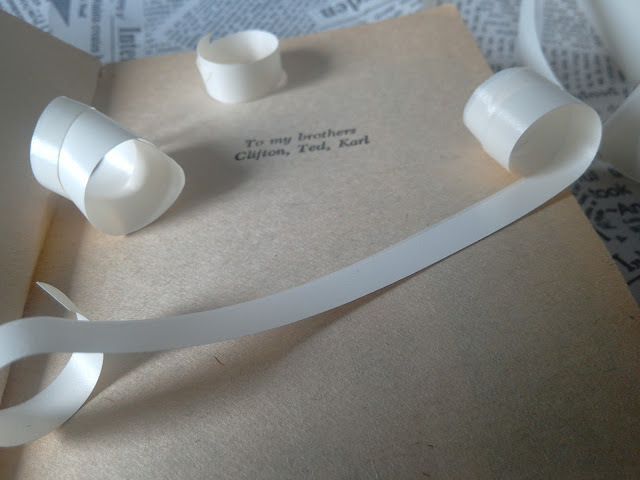 I've been thinking a lot about putting together a parcel for you and your lovely nephew and niece. I am making a progress there! I need your new address (I think I have the old one). I will read all the reviews in detail. I don't read nearly as much as you do, but I share some of the same favorites! 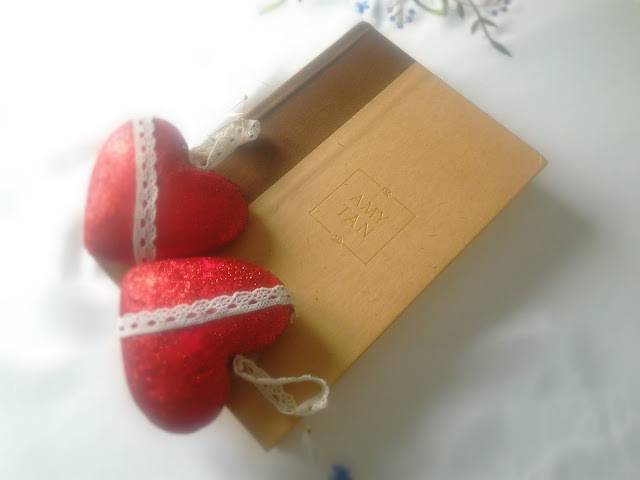 I adore Maya and I have exactly the same copy of The Heart of a Woman! I love this book as much as her poetry, and this is exactly the kind of a book I want to write some day - mix of literature and autobiography, in my case with a good doze of spirituality. I am working on it. I love Pride and Prejudice, I read it in Russian and of course I love the mini series (from the 1990s). I started to read the original, but such a small font...makes my eyes hurt. I will get to it though. 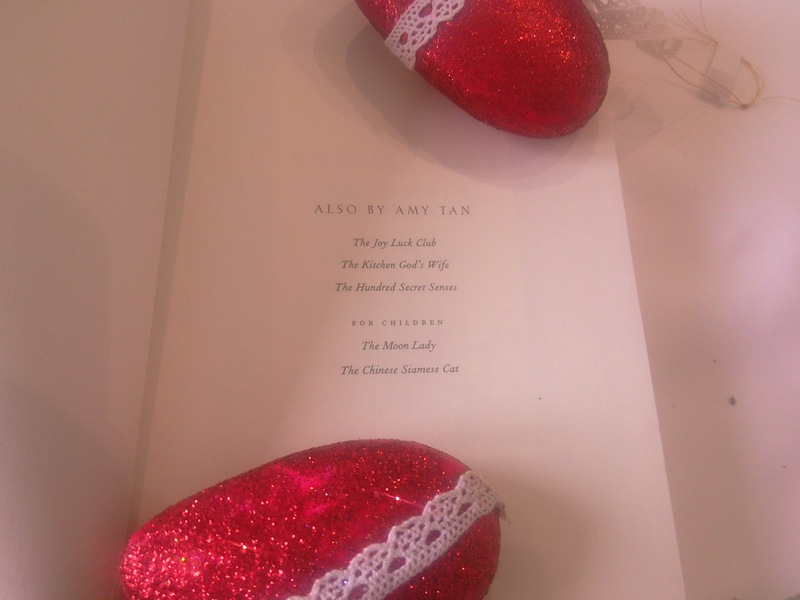 I also have Amy Tan and want to read it. Marina Tsvetayeva is an amazing poet, as strong voice as Maya's in American literature (her prose is also beautiful). 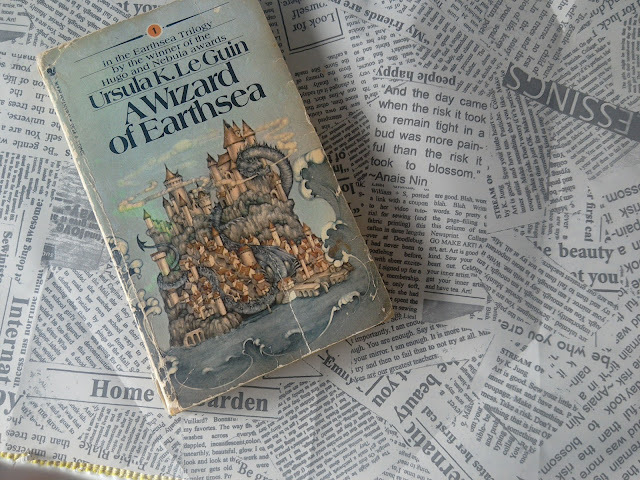 I didn't know Ursula passed away... She had a long and wonderful life! She lived in a neighboring state from us - Portland, OR. And Iris Murdoch was one of my favorite authors when I studied literature. I also loved the movie Iris with Kate Winslet and Judi Dench! Thank you so much for sharing this, my dear!!! I love the movie about Iris too. Maya is amazing. I feel like I would never have the guts to write something completely autobiographical, even if in really all writing has autobiographical elements and we always reveal ourselves in our art. I can't wait to read what you're working of, but take your time, some writing forms can't be rushed. Hi Ivana, all of these book, about which you wrote about sound interesting, personally I'd love to read Broken Harbour - I have never heard about it before, but it seems like amazing crime novel. What's more, I watched film, which was based on "The help" and it moved me as well. it is a great crime novel, very psychological. 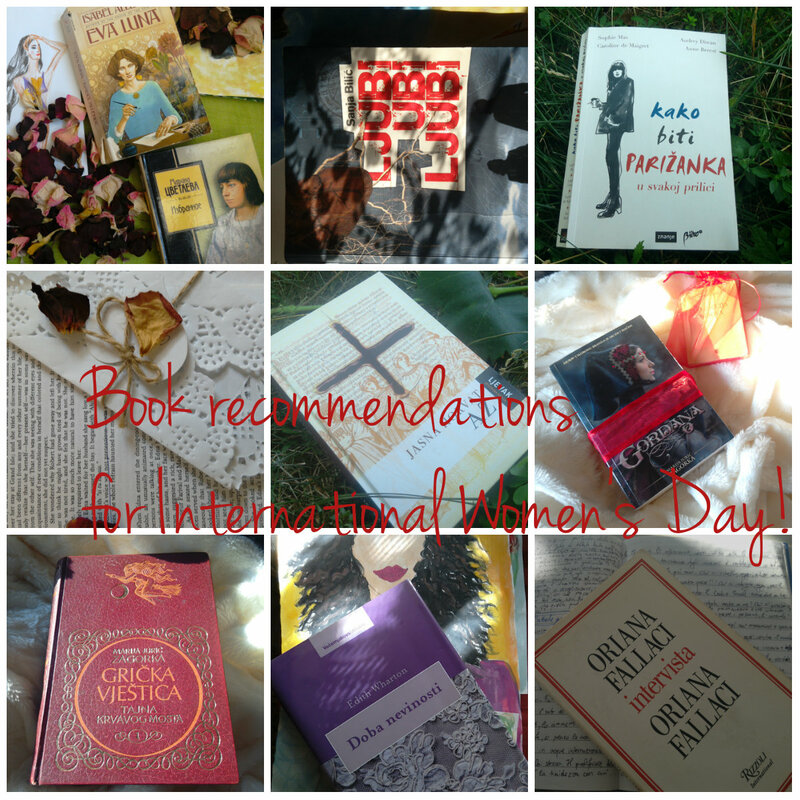 this is a great selection of books to celebrate the Women's Day. I have to admit, I don't know most of the books (or didn't yet read them), but I'm familiar with some of the authors. 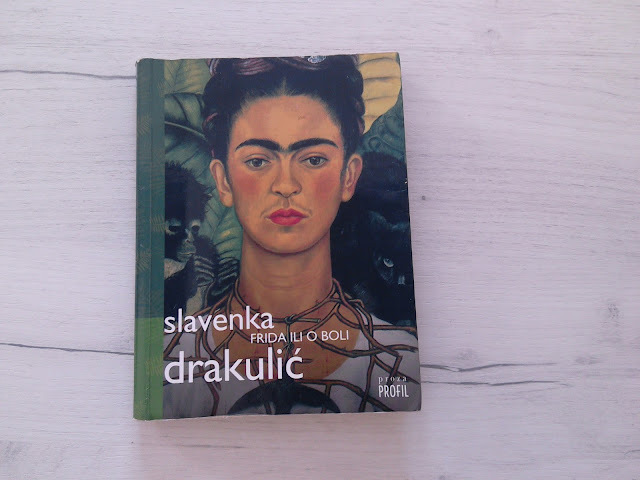 I read a lot about Frida Kahlo (and I think it was also this book) and I have at least seen The Help as a movie ;-) How nice that you also included Natalia's pretty children's book in your selection! I keep meaning to get back into ready, it's just so hard sometimes but you've really put up a good selection here! I do agree, it's hard to find time to read nowadays. I'm a fan of Amy Tan as well. She paints a very accurate depiction of the Asian family dynamic in her narratives which I can really relate to. While I've read the other two titles you mentioned and enjoyed them both, I still haven't read The Bonesetter's Daughter. It sounds really compelling. Will have to add it to my reading list.